Welcome speeches were held by Prof. Dr. Wolfgang Schuster (Chairman of the European Foundation for Education), Mr. Kalin Kamenov (Mayor of the Municipality of Vratsa) and Mr. Ognyan Tsenkov (Mayor of the Municipality of Vidin). All speakers referred to the close cooperation already established within the project EDU-LAB and to the importance of investing in education. Mr. Kamenov underlined that improving education is a key to improving the overall living standard in the region. Both Prof. Dr. Wolfgang Schuster and the mayor of the Municipality of Vidin, Ognyan Tsenkov, stressed that National Academies for Professional Education could be a very useful instrument for the further implementation and sustainability of the project. The steering committee meeting also included a capitalization session in the framework of which Ms. Iliana Philipova, CMC, Vice President, Executive Director, Chamber of Commerce and Industry Enterprise Europe Network presented briefly the Learning by Doing DTP project and gave an overview of the similarities between the intervention logic of EDU-LAB and Learning by Doing project. Presentations by Ms. Nesrin Doneva (Communication manager - Regional Department of Education - Vratsa) and Ms Mariela Petkova (Communication manager - Chamber of Commerce and Industry Vratsa) on established best practices followed the upcoming day at the 3rd EDU-LAB Partner Meeting. The second part of the meeting focused on the review of already delivered and ongoing outputs and deliverables and planninge of coming activities. A report on the effectiveness and quality of the implementation of the project was delivered by Dr. des Ágnes Sebestyén, project director followed by a review of the quality of recently delivered outputs (e-learning courses for stakeholders and the New Danubian Governance Model) by Anca Serban, delegate of Prof. Dr. Livia Ilie, Quality manager. 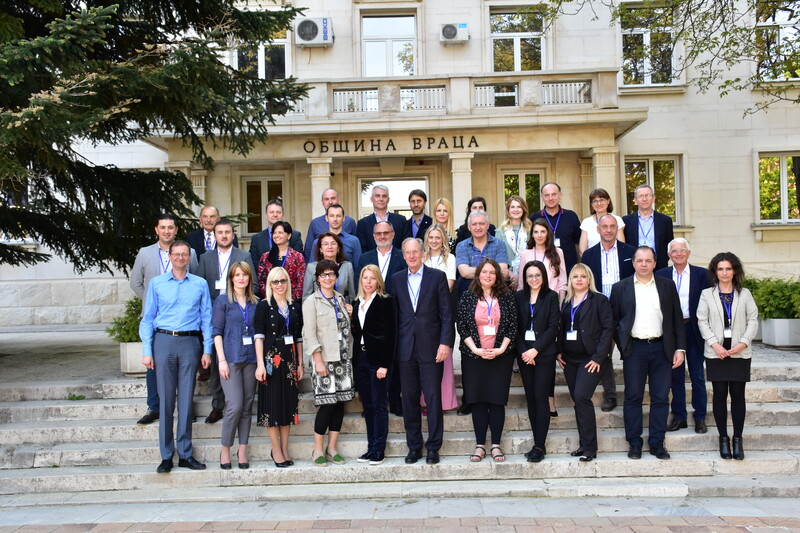 Presentations of the outputs delivered and ongoing activities within each work package were held by the partners leading the respective work package: Prof. Dr. Djuro Kutlača, Institut Mihajlo Pupin (work package 3), Prof. Dr. Natasa Vaupotic, University of Maribor (work package 4), Prof. Dr. Pál Lukács, John von Neumann University (work package 5), Guido Glania, Executive member of the Managing board, German-Slovak Chamber of Commerce (work package 6) and Daška Domljan, Programme manager, Foundation Knowledge at Work (work package 7). After the tasks were devided and the deadlines set, the meeting was closed by Professor Wolfgang Schuster urging to make further steps to assure the sustainability of the project. The Steering Committee Meeting was followed by the the 3rd EDU-LAB partner meeting on the 24th of April. 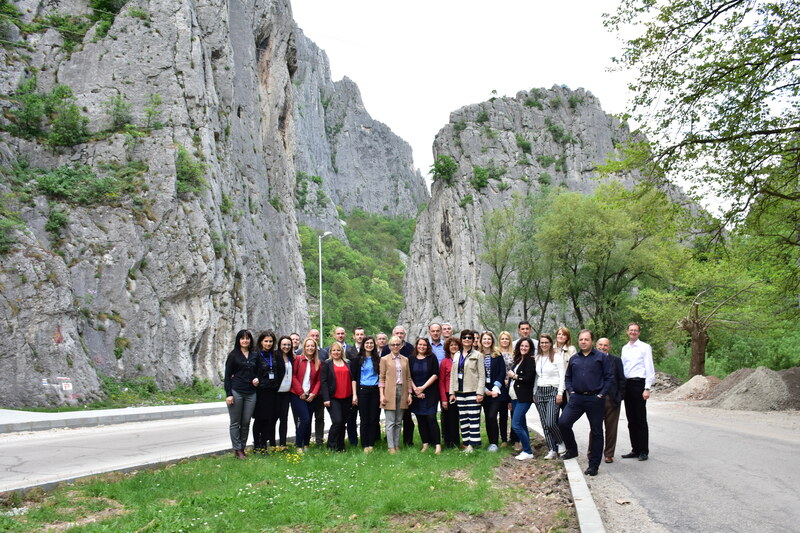 All participants enjoyed greatly the beautiful environment and the hospitality of the Municipality of Vratsa.